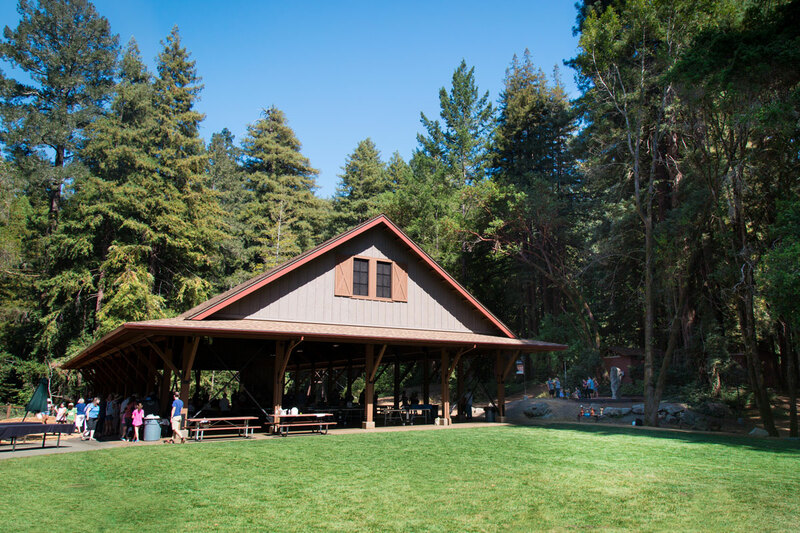 The Mount Hermon Community has been dreaming and preparing for this next season in Redwood Camp’s history—and the season has arrived! We couldn’t be more excited! construction crews began working. The effected area is separated from the main camp grounds by construction fence to protect work and guests. ending their workweek around 1pm on Fridays to allow Mount Hermon staff to prepare to welcome weekend guests. work on the pavilion will continue—including grading, foundation, framing, etc. until the project reaches completion in June 2016. Mount Hermon began its first summer of ministry in a meadow off the railroad tracks, a space known as Redwood Camp. Since then, this sacred space has seen tens of thousands of people, young and old alike, meet Jesus and experience His love firsthand! This will be Redwood’s new year-round indoor recreation facility. Its location will be the current Meadow (grassy field next to upper cabins and Trading Post). The Trading Post, Swimming Pool and Tree House will remain the same.